A new law requires Texas' freestanding emergency rooms to more clearly communicate what health insurance networks they're in, if any. Patients who visit freestanding emergency rooms in Texas should now have a better idea of whether their health insurance will cover the bill. A new state law that took effect Sept. 1 requires the facilities — which resemble urgent care clinics but often charge hospital emergency room prices — to post notice of what, if any, insurance networks they're in. The new law is about “protecting consumers,” said Jamie Dudensing, chief executive officer of the Texas Association of Health Plans. Meant to prevent patients from surprising — and often debilitating — medical bills, freestanding ERs can comply with the new rules by posting the insurance information on their websites, as long as written confirmation is also provided to patients. 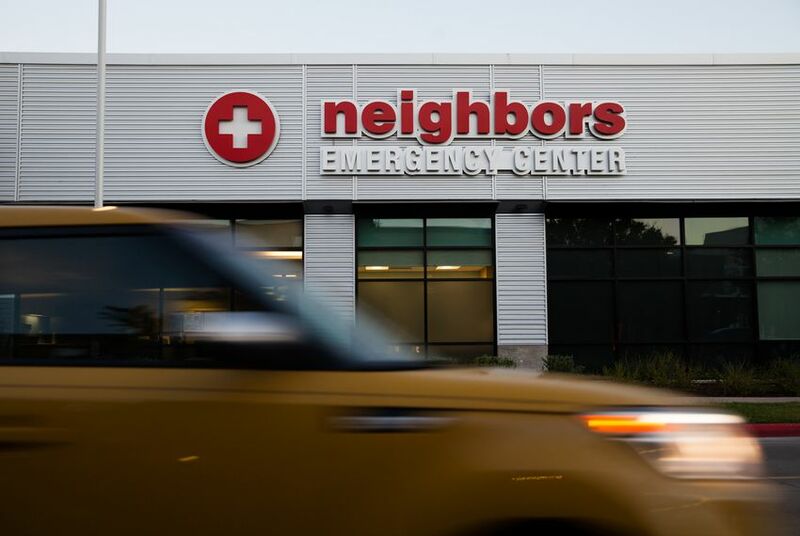 “We take educating patients very seriously,” said Brad Shields, executive director of the Texas Association of Freestanding Emergency Centers, which represents such facilities in Texas. In 2009, Texas became the first state to permit freestanding ERs, facilities independent of hospitals that provide acute care around the clock — and frequently aren't in insurance networks. They have spread quickly across the state, profiting, their critics argue, by charging up to ten times more than urgent care centers to treat ailments like a fever or sore throat. These prices have blindsided unsuspecting consumers who realize too late that they were treated by an out-of-network provider. Christopher Spector was startled to receive an $1,100 bill after visiting a freestanding ER in North Richland Hills for an eye injury. In a letter he wrote to contest the charge, Spector says he went to the facility after being hit in the right eye with a tennis ball and, after a series of tests, was told to see a nearby ophthalmologist for further treatment. He doesn’t remember asking if the freestanding ER was in or out of his health insurance network. He called the charges “unreasonable, uncustomary and even predatory,” and described how the ophthalmology center he visited the next day provided him more comprehensive care at a fraction of the price. “I wasn’t surprised to receive a bill,” he said, but freestanding ERs need to be more upfront about what care they provide and at what cost. The new law aims to clarify a process all sides agree can be confusing. Shields said his group supported the bill through the legislative process. Most facilities are good actors, he said, that strive to inform consumers about what their insurance plan covers. The websites of some freestanding ERs in Texas, for example, advise that the facility may not be in-network and may charge rates comparable to a hospital ER. Some even suggest patients visit an urgent care clinic instead. The new law was one of several bills filed during the 85th Texas legislative session that took aim at freestanding ERs. Another that passed, authored by state Sen. Kelly Hancock, R-North Richland Hills, allows more patients to use a mediation system to dispute surprise medical bills, including those incurred at freestanding ERs. Together, Dudensing said, the new laws provide better protection for consumers, who will have more information before making decisions about their treatment. “We’re not trying to disrupt any business model,” she said. Disclosure: The Texas Association of Health Plans and the Texas Association of Freestanding Emergency Centers have been financial supporters of The Texas Tribune. A complete list of Tribune donors and sponsors can be viewed here.